During my search on how to use walkable 3D environments and getting feedback from visitors, I discovered that such worlds can be easily used to support the political process and even become a part in decision making. Avatars can vote by clicking, it can collide with objects the visitor likes or dislikes. It’s like when you ask people to step forward for a target. How far can one move? What will they invest or lose in order to reach it? All this can happen in a 3D world, without typing and filling up endless questionnaire pages. It is done just by moving around in joy. What about spamming and cheating in this process? – One might think. The truth is: in IT you already know where the user comes from. So you know if they clicked or collided with a voting object 10 times in a row, or once a day. It’s European law to know it. A provider must log the IP address, the computer name, the operating system along with many other things. Do you also know as many details as when someone sends a postcard or a fax? Could it be possible that this person is a lobbist just copying 100 postards with names out of a phonebook? Or could it be that the fax comes out of a fax server, which changes the sender ID on each transmission, just to trick the politician that was voted to support and represent the will of many? IT is much safer and more serious as any other media in our world. So “Politikinformatik” could be the rising of a “golden dawn” in the coming future. Let me show you my artwork “Golden Dawn” as I am in “Kunstinformatik” as well. I studied ‘Politische Wisssenschaften’ at Prof. Ronneberger over 30 years ago. You can see the ‘coded message’ in Golden Dawn, if you are clearly interested in EU politics. 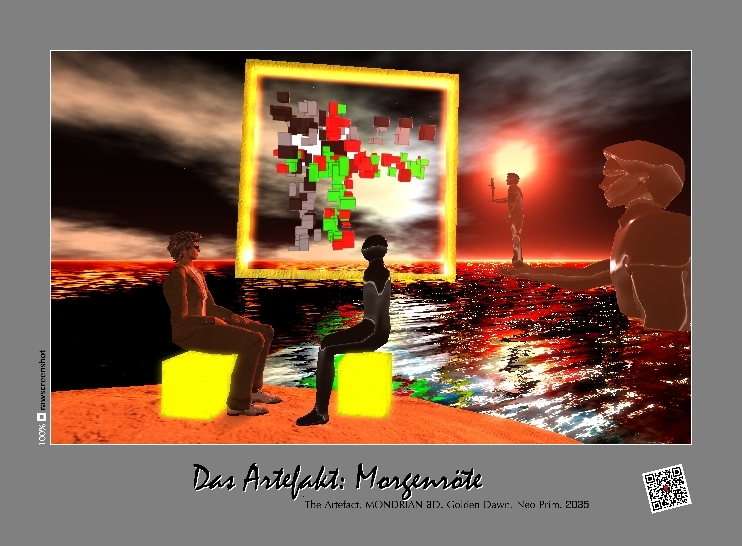 This artwork was presented at Cap San Diego in Hamburg, in October 2012. The exhibition was called European Passages, perfomed by Kobalt and IPAC.